Flaxseed can be found whole, ground or as an oil. Depending on the form in which you consume flax, the nutrition and health benefits it provides, as well as what you can do with it, will differ greatly. Be informed to make the best decisions for your health. The type of omega-3 found in flaxseed is called alpha-linolenic acid, or ALA. A tablespoon of whole flaxseed contains 2.5 grams of ALA, while a tablespoon of ground flaxseed has 1.8 grams of ALA. Because flax oil is obtained by extracting the omega-3-rich oil from the seeds, a tablespoon provides as much as 8 grams of ALA. Omega-3 fatty acids are known for their heart-healthy protective benefits. Flaxseed is a good source of fiber, especially soluble fiber, which can help lower cholesterol levels, stabilize blood sugar levels after a meal and keep your intestines regular. A tablespoon of whole flaxseed contains 3 grams of dietary fiber and a tablespoon of ground flaxseed has 2.2 grams of dietary fiber. However, the fiber component of flaxseed is removed when extracting the oil, which leaves absolutely no fiber in flax oil. Lignans are a plant-based component that has been shown to have antioxidant properties in vitro, which might help prevent breast cancer. Flaxseed is the food containing the highest amount of lignans, according to the Linus Pauling Institute of Oregon State University. Lignans are not present in flax oil. A tablespoon of whole flaxseed contains 50 calories, 4.5 grams of fat, 2.2 grams of protein, 3 grams of carbohydrates and 3 grams of fiber, whereas the same serving of ground flaxseed provides 36 calories, 3.3 grams of fat, 1.6 grams of protein, 2.3 grams of carbohydrates and 2.2 grams of fiber. A tablespoon of flax oil contains 124 calories, 14 grams of fat and no protein, carbohydrates or fiber. Omega-3 fatty acids are unsaturated, which makes them more sensitive to oxidation. For this reason, flax oil needs to be kept in the refrigerator, ideally in a dark bottle, away from light. It cannot be kept longer than six weeks after opening. Ground flaxseed is also sensitive to oxidation, so it is best to grind it only as needed. If you want to grind a larger batch for convenience, keep the flax meal in the freezer to prevent it from going rancid. Whole flaxseed can be kept at room temperature because the outer shell protects the omega-3 fatty acids from being oxidized. Whole and ground flaxseed can be used in baking and sprinkled over breakfast cereals, oatmeal, salad and yogurt. 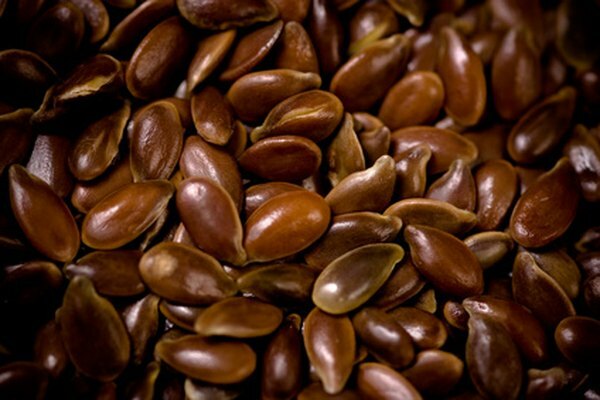 It is preferable to use ground flaxseed to reap the benefits from its omega-3s, which are inside the seed. You also can use a tablespoon of ground flaxseed with 3 tablespoons of cold water to replace each egg in baking. Flax oil can be used to prepare salad dressings, drizzled on veggies or pasta and dipped with bread. Flax oil is not suitable for cooking.